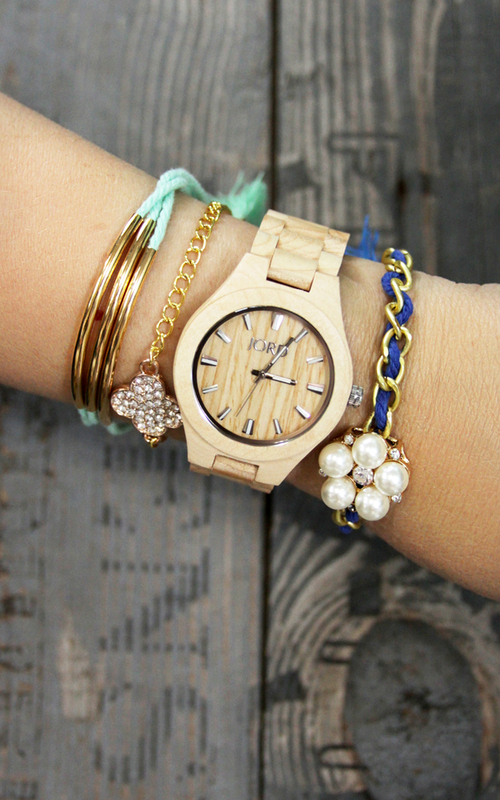 These simple and pretty DIY Summer Layered Bracelets and Gorgeous Watch make such great summer accessories! I love layering bracelets, especially in the summer. 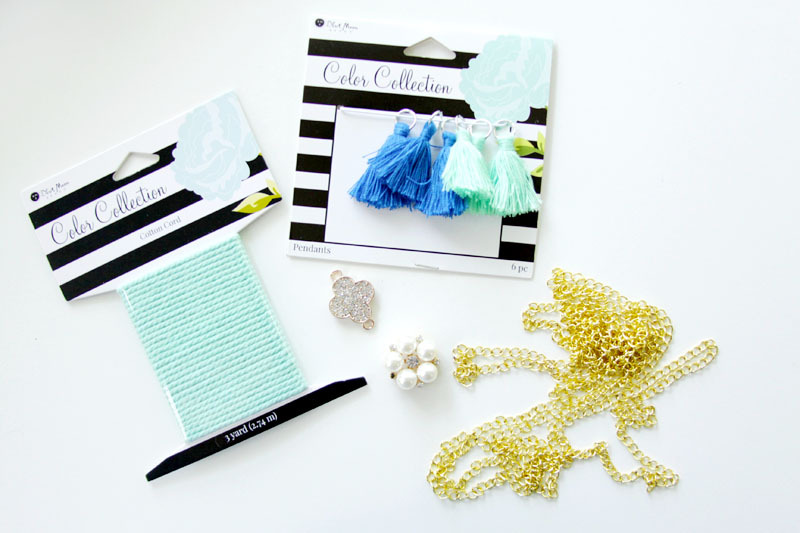 They are such a pretty way to add a little color and style to a simple outfit! 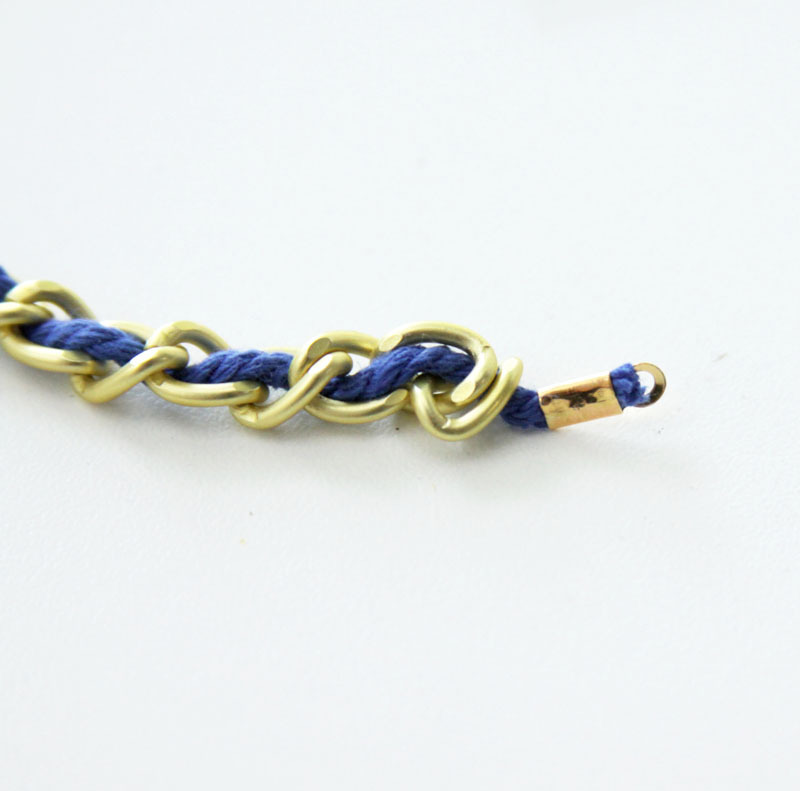 These bracelets are easy to but together, even if you’ve never made jewelry before. 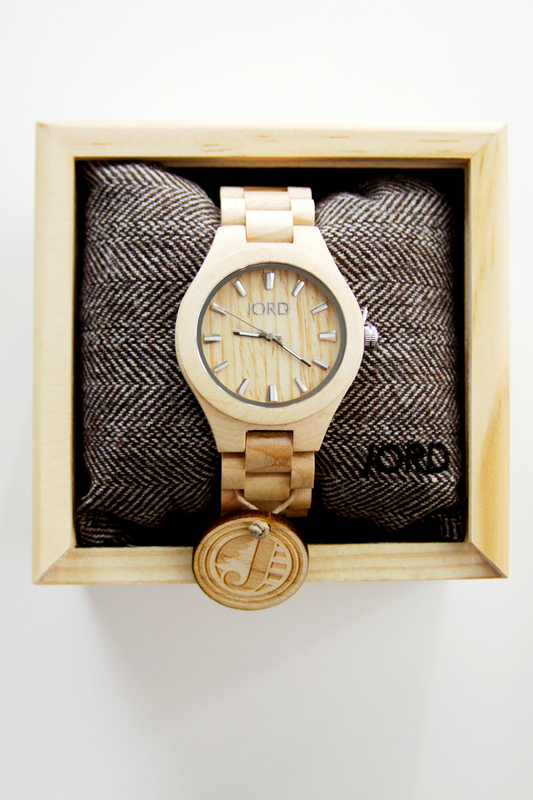 And I’ve paired them with the most gorgeous Jord watch that look great with any outfit. Don’t they look great together? 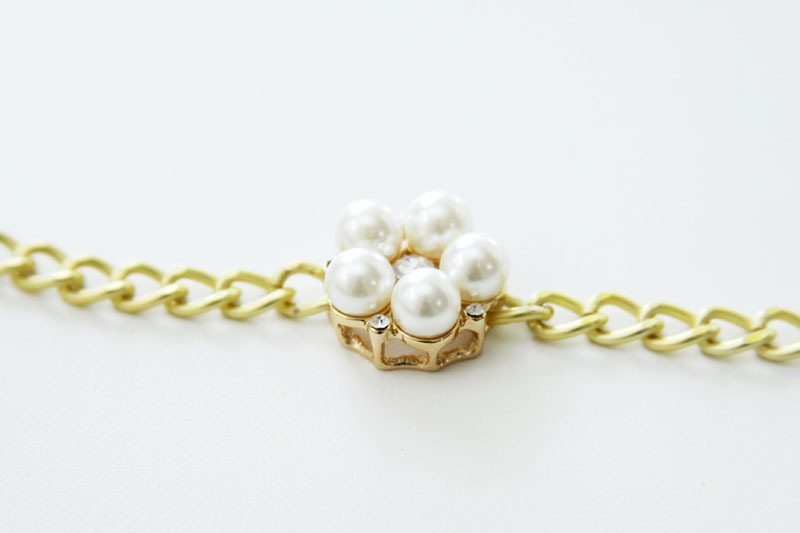 For the Pearl and Chain Bracelet – start with the center pearl beads. Add a length of large gold chain to one side. Add the chain to the other side as well. Wrap the chain around your wrist and add about 1″. Cut the chain on each side. Thread the blue cording through the chain, going over and under each link. It helps to add a bit of tape to the end so that it goes through the chain more easily. Finish each end of the cording with gold cording ends. 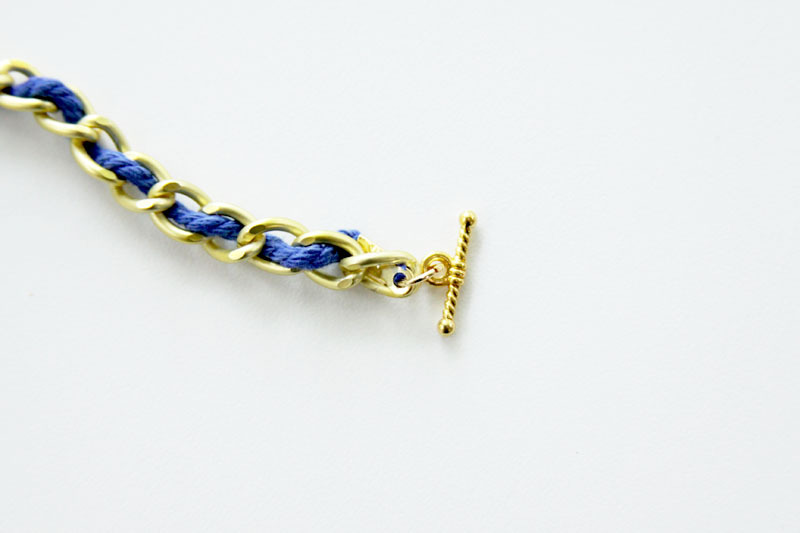 You’ll want the holes of the cording ends the same length as the chain. 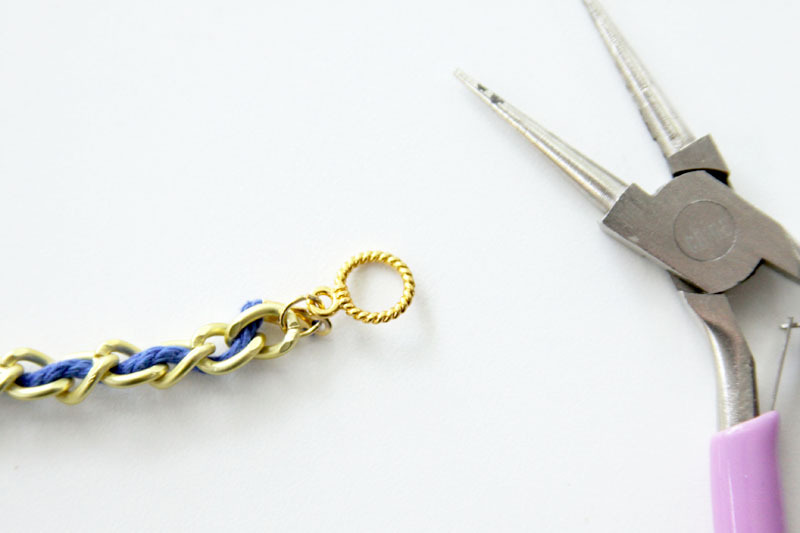 Add both the cording end and the chain to a jump ring and one end of the closure. Repeat for the other side and the other end of the closure. 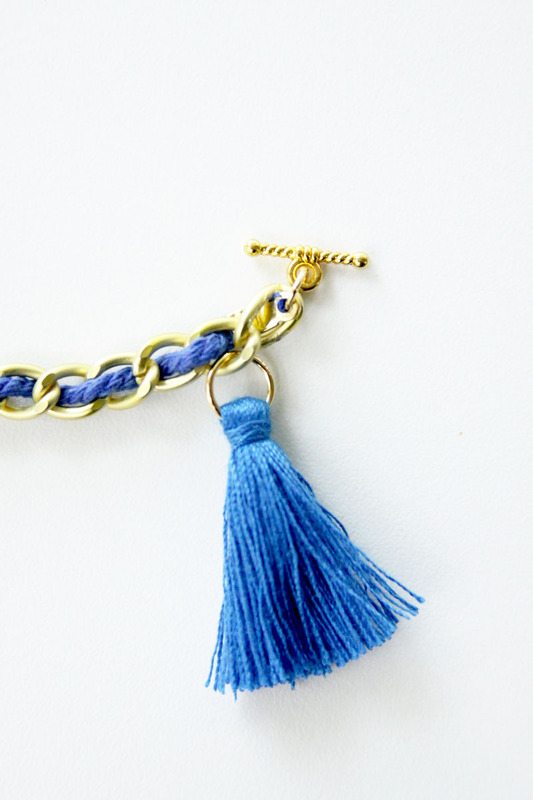 Add the tassel to the chain, a couple links in from the end. 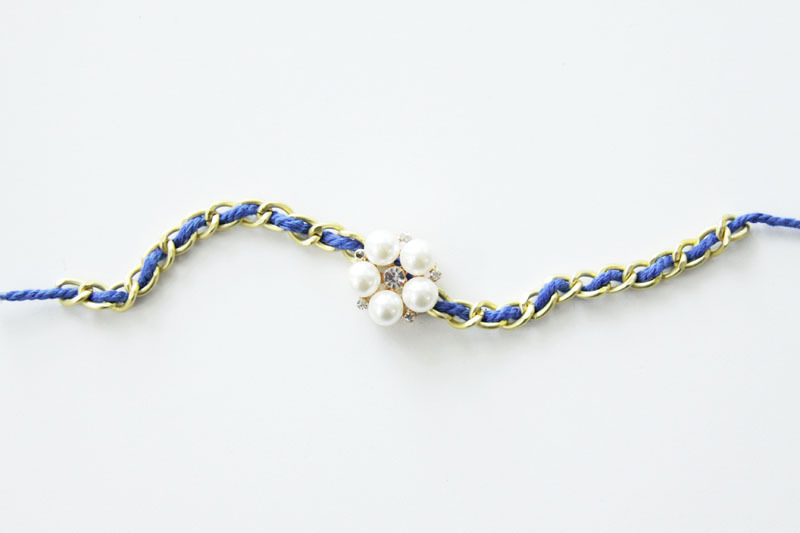 That’s it – one bracelet down! The Crystal bracelet is super easy too! 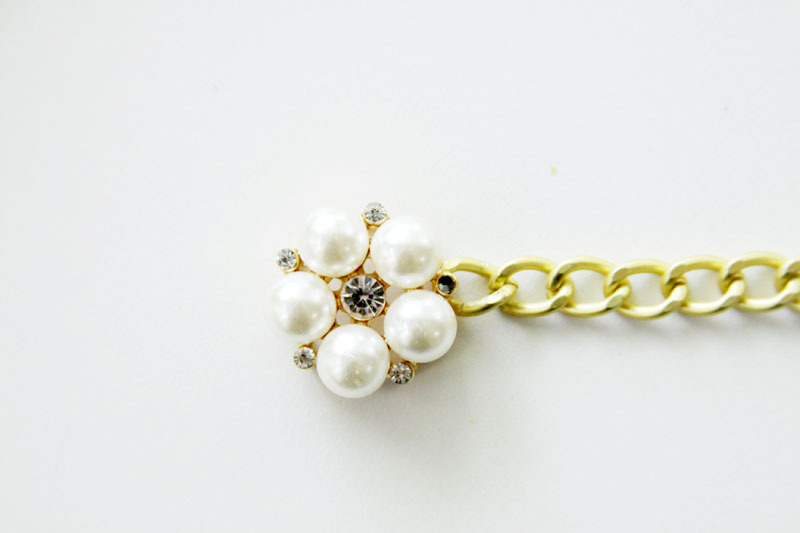 Just add a length of chain on each side of the center bead and a closure on each end. 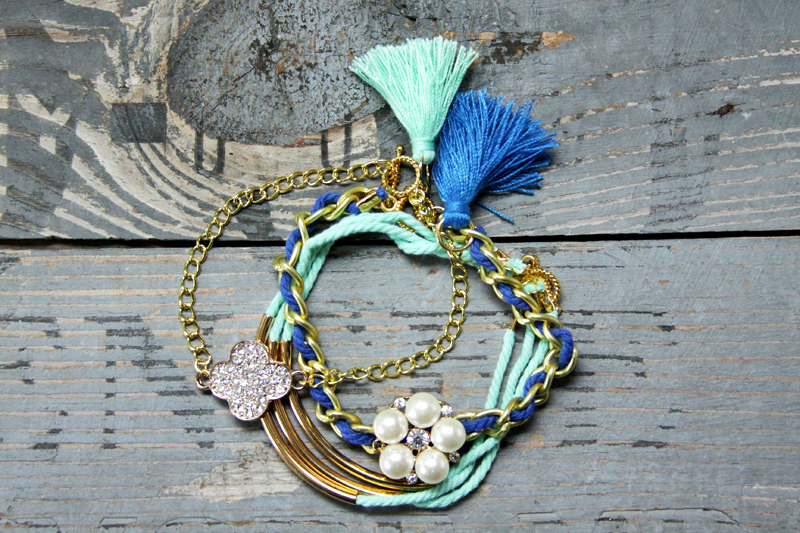 Add a tassel to this one to add a little more color! For the gold tubes – thread a length of cording through a tube. Measure your wrist and add about 1/2″. Add cording ends to each end. Repeat for two more, then add each of the ends to a jump ring, with a closure on each end. 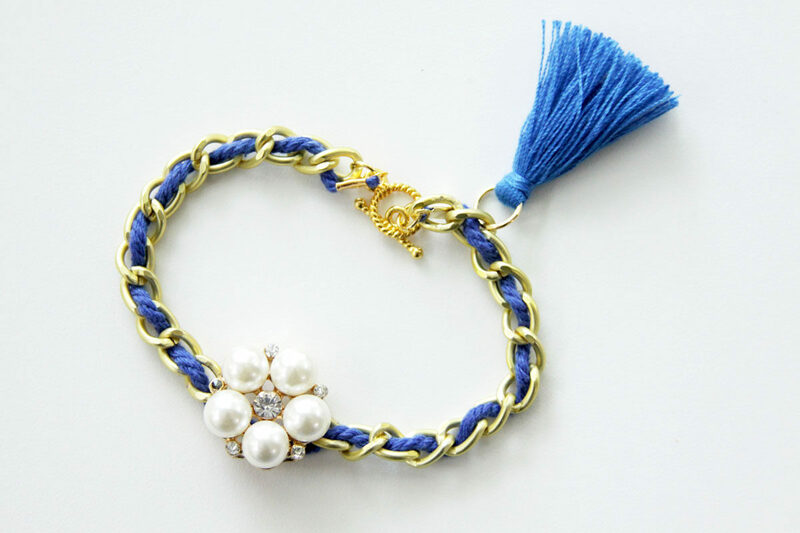 Super easy cording bracelet! These look great all layered together! They go perfectly with my new Jord watch as well! 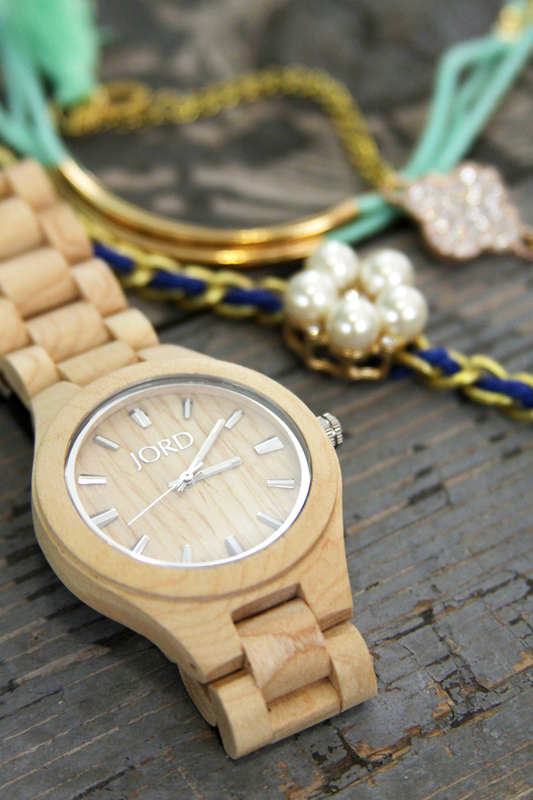 I have been wanting a wooden watch for ages and I love how pretty this Fieldcrest Maple watch is. It’s so light and I love that it will go with so many outfits. So fun for Summer right?? Jord is offering a fabulous prize to one Flamingo Toes reader! You can enter to win a $75 Credit to Jord! They have a cool prize even if you don’t win -just for entering you will receive a $20 Coupon code! The codes will expire on Sept. 9. Oh my goodness! Those bracelets are adorable! 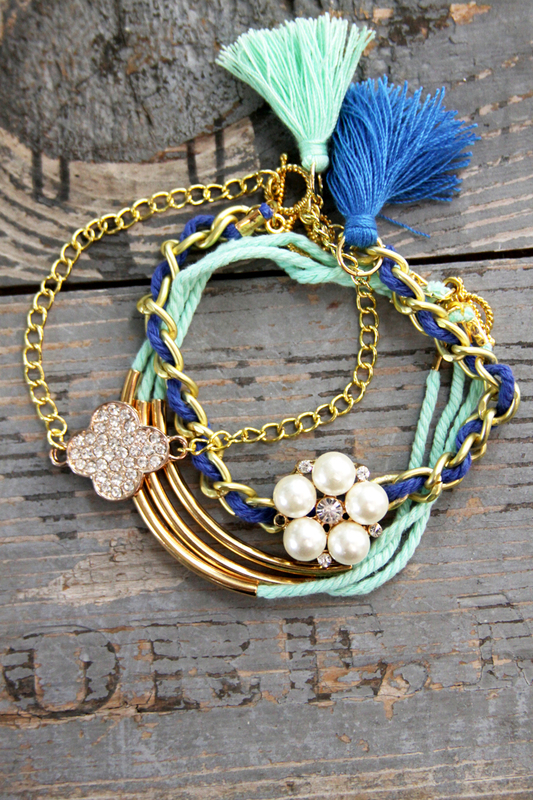 Love your creative spin on jewelry! 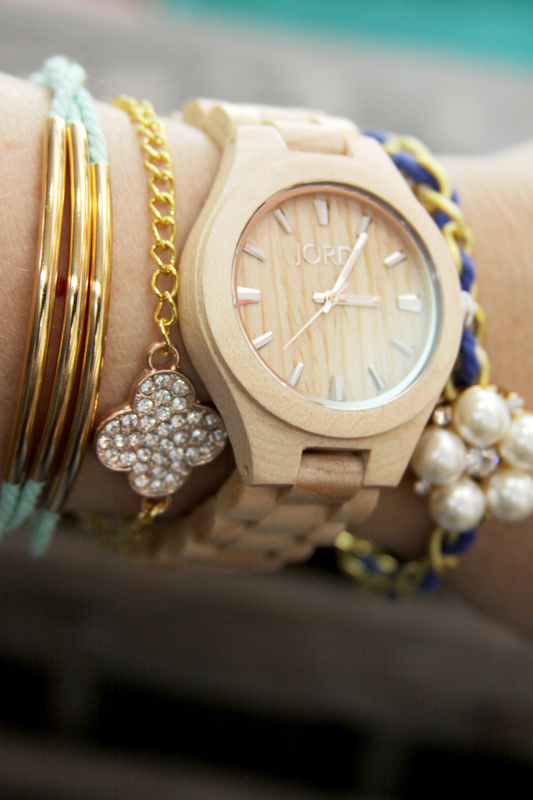 And I really like that Jord watch! A googling I will go! My mom loves watches and I’ve been eyeing a wooden one for her for awhile. 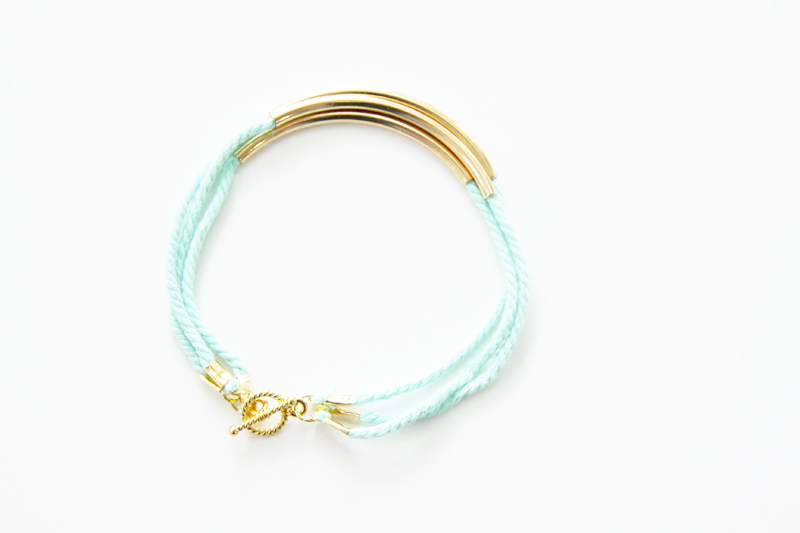 Yours is so pretty with the bracelets with it! Love it! Ooh! Gorgeous! 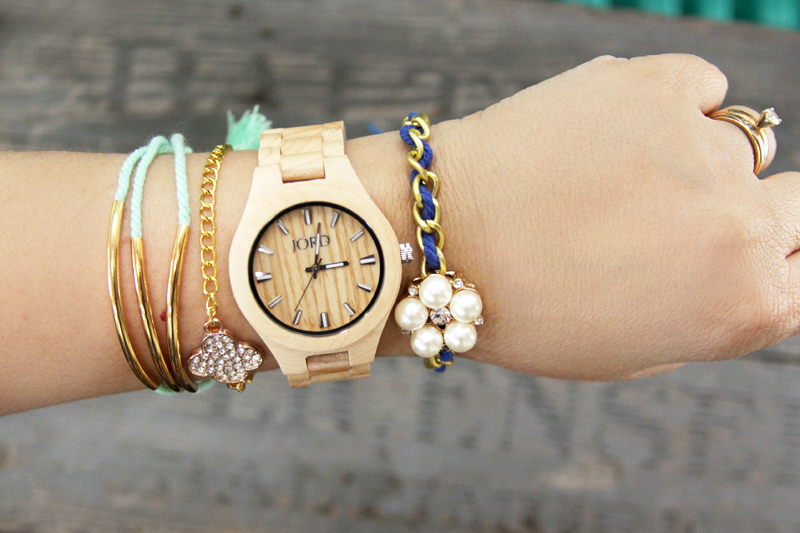 Love that watch and the bracelets! I’ve had my eye on these wooden watches for a while now. I love the light colour that you chose; it’s lovely. And your beautiful bracelets look absolutely gorgeous with the watch. I entered to win one! That Jord watch is AWESOME! Love the color, and looks awesome with the bracelets! Those bracelets are beautiful! 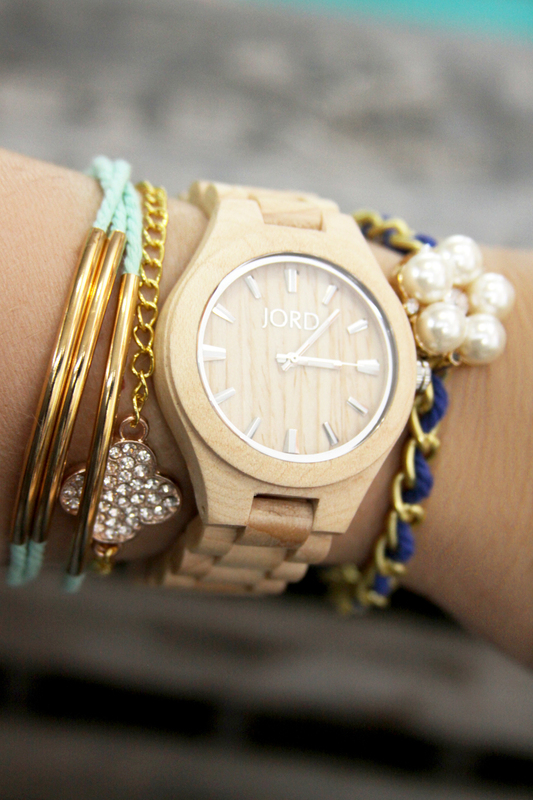 I love the look of the Jord watch too! 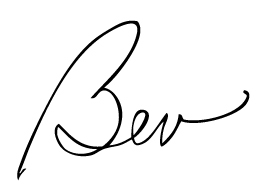 It’s incredibly simple and still very classy. Thanks for sharing at Get It Together link party! These are absolutely stunning! Thanks for sharing! Love this look! Thanks for sharing with us at Family Joy Blog Link Up Party this week. Hope to see you next week! I love the Jord watch, I too had the opportunity to review one. But your handmade bracelets are a wonderful addition to the Friday Features Linky Party this week and I appreciate it. Thank you for stopping by!